Grease up a bread pan or bundt pan and pour in the dough then stick in the oven for 60 t0 70 minutes. Remember to poke the middle with a fork or tooth pick to make sure it’s dry/cooked. Little tip: Bundt pans (the circle ones with the hole) are a cute way to make sure you don’t get a mushy middle. 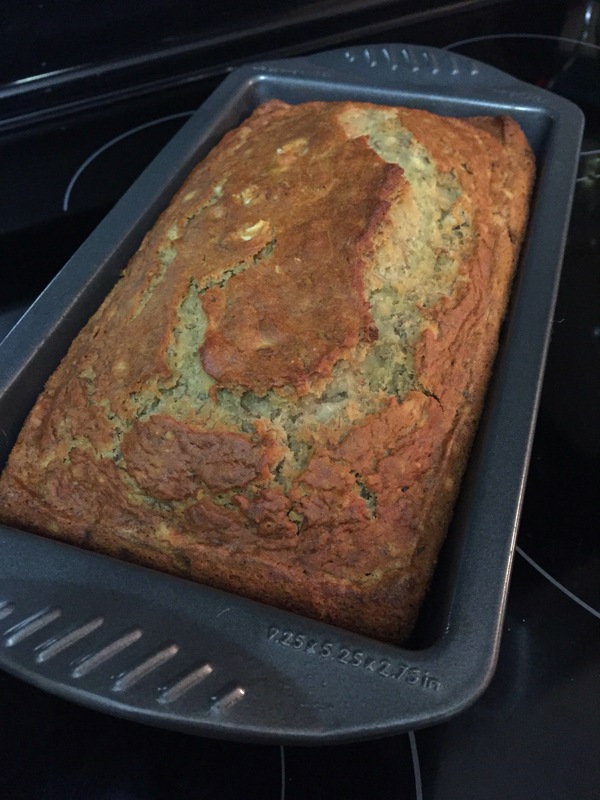 This is making me really hungry…I love banana bread!